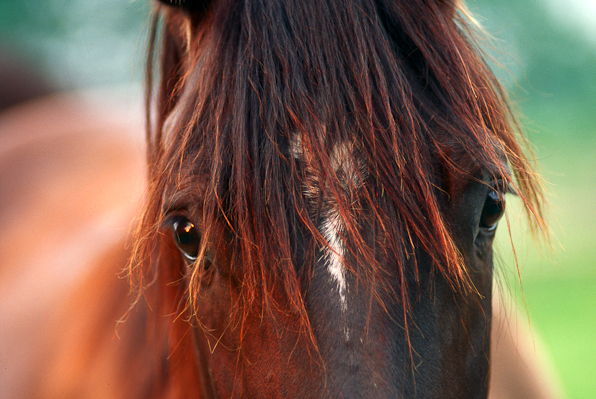 Equine Eyes, Snapshot, n.d., n.p. Oddly, I remember going out to shoot an equestrian on the farm where she was staying but don’t recall her name or the name of the place. This snapshot of one of the barn boarders seems also one of the rare times I departed from my file naming scheme (YYMMDD) for both slides and scans, so I will have to stumble across this old exposure in the files and catch up with memory (and journal or notebook references) from there. This entry was posted in Rural, Snapshots. Bookmark the permalink. 1 Response to Equine Eyes, Snapshot, n.d., n.p. So soulful. What a gloriously beautiful creature.